And we thought London's cycle superhighway was nice. 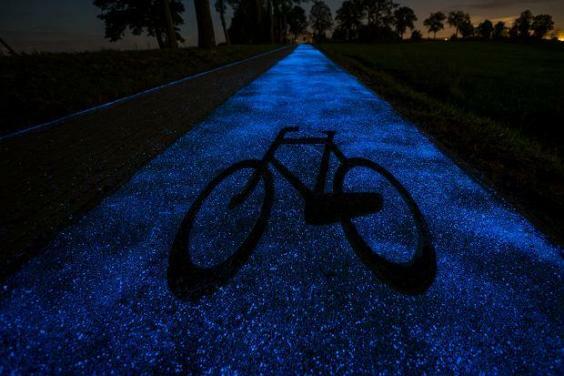 Poland's done a bit of one-upmanship with cycle lanes that glow blue in the dark, having been charged by the Sun throughout the day. They look pretty good, too. The material, made by the technology institute TPA Instytut Badan Technicznych, named 'luminophores' - particles which absorb the light from the sun and required no other energy source to glow at night. 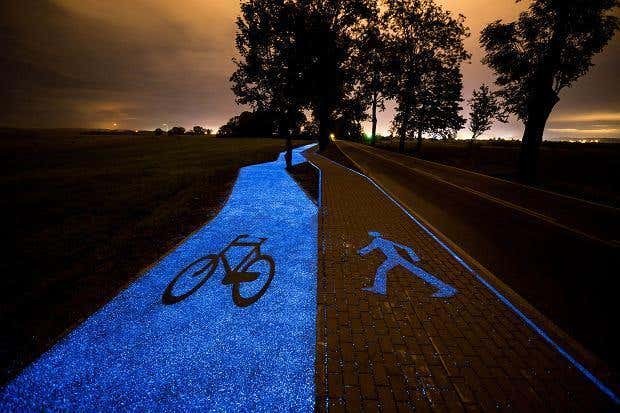 In the case of the new cycle lane near Lidzbark Warminski in Mazury, the particles are blue. The material we used for the track gives light for over 10 hours. That means the road can radiate throughout the whole night and reaccumulate light the following day. What is not yet known, however, is how quickly the particles will wear out - this needs to be determined before cycle lanes around the world adopt the material. 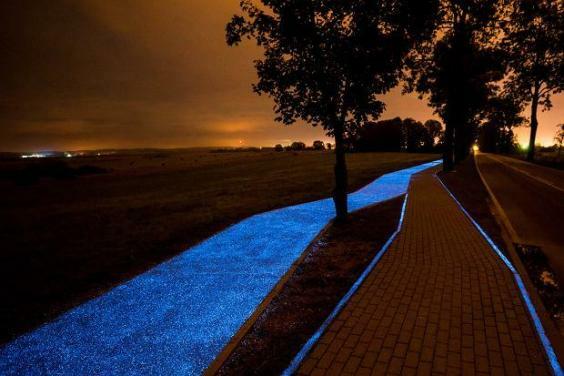 The Polish engineers were inspired by a similar cycle lane in Nuenen in the Netherlands, designed by Daan Roosegaarde to honour Vincent Van Gogh's painting Starry Night, as the painter lived in the town in the late 19th century. The bike lane in the Netherlands, however, is not entirely self-sufficient, like the most recent Polish one.